According to officials, the two leaders discussed strategic bilateral ties, including India's development assistance as well as cooperation in other key areas. New Delhi: Prime Minister Narendra Modi today held talks with former Afghan President Hamid Karzai on key bilateral issues as well as security situation in the region. 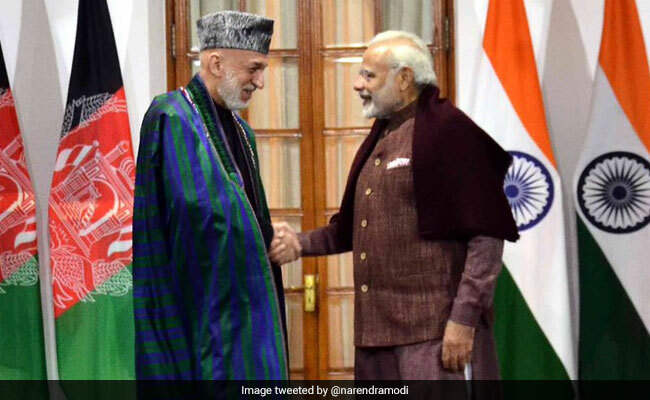 "Delighted to meet my friend Karzai in New Delhi," PM Modi, who also hosted dinner for the Afghan leader, tweeted. They also discussed the security situation in the war- torn country and in the region, the officials said.